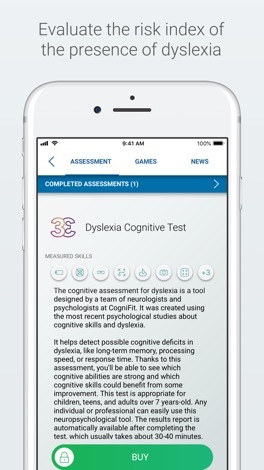 CogniFit Dyslexia is an App designed to help screen cognitive impairment related to dyslexia, and to help train, through clinical exercises, the cognitive skills affected by this disorder in children and adults. This medical app is accessible and very easy to use. It's created by a team of neuropsychologists and clinical psychologists who are experts in neurodevelopmental disorders. 1- DYSLEXIA TEST: Neuropsychological assessment battery to help detect dyslexia risk index. The Cognitive Assessment Battery for Dyslexia (CAB-DX) is a leading professional tool made up of a battery of clinical and validated tasks aimed at quickly detecting and assessing the presence of symptoms, traits, or poor functioning of the cognitive processes affected by dyslexia. This innovative dyslexia test is a scientific resource that makes it possible to take a complete cognitive screening, see cognitive strengths and weaknesses, and evaluate the risk index of the presence of dyslexia. This test is perfect for children, teens, and adults. 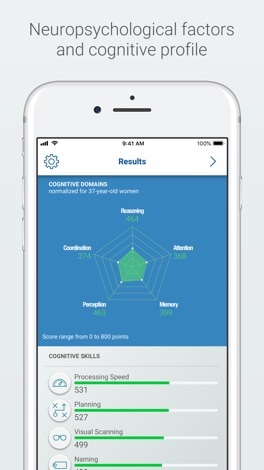 Any user, either professional or personal, can easily use this neuropsychological assessment battery. The report from this assessment battery will automatically be available for download after completing the evaluation, which usually takes about 30-40 minutes. Dyslexia is, in general, underdiagnosed. Note that CogniFit does not directly offer a medical diagnosis of dyslexia. Indeed, this learning disorder creates significant and persistent difficulties that affect linguistic abilities associated with reading and writing. A clinical history and the evaluation of different areas, especially neuropsychology, are still the most effective tools to diagnose dyslexia. CogniFit recommends using this dyslexia test to complement a professional diagnosis, and never as a replacement for a clinical consultation. 2- ACTIVITIES, EXERCISES AND BRAIN GAMES TO HELP TREAT DYSLEXIA SYMPTOMS: CogniFit Brain Training for Dyslexia is a neuroscientific program that can help improve the mental agility of people with dyslexia by increasing their reading and writing skills, enhancing their concentration, learning agility and academic performance. 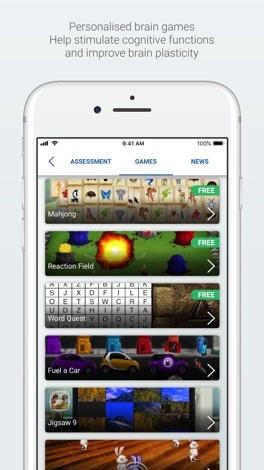 These games are designed to strengthen the connectivity of the neural networks involved in language processing. It is an innovative and effective formula to promote neuron plasticity while having fun playing. The exercises are personalized and adapted to the age and unique aspects of each user. Note that CogniFit does not treat dyslexia but can help improve cognitive skills affected by the disorder. 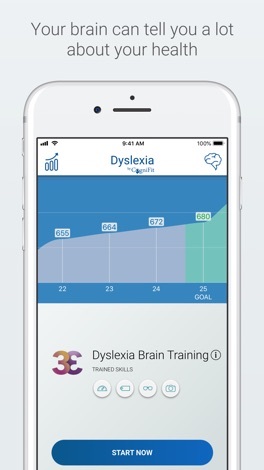 The effectiveness of CogniFit brain training for dyslexia has been scientifically validated and proven by multiple colleges, universities, and hospitals around the world. Studies show that children and adults with dyslexia who trained their brains with CogniFit significantly increased their cognitive development, work activity and reading performance (increasing the number of correct words read per minute by 14.73%). In addition, the results lasted up to six months after training, having a positive effect on dyslexia.